POTOSI - Rhonda Lea Hopkins, of Potosi, passed away April 12, 2019, at the age of 58. She was born in St. Louis, Missouri, on May 28, 1960, to the late Albert G. Webers and Mary Lou (Littrell) Webers. In addition to her parents she was preceded in death by a brother, Jimmy Webers, along with her unborn son. Rhonda grew up in Collinsville, Illinois, where she graduated from high school. She also attended Mineral Area College for 2 years, studying small business. She was a certified master jeweler and with her husband, Kevin Hopkins, was co-owner of Express Pawn and Gun in Farmington, Potosi and Sullivan. Rhonda was a faithful Christian who loved her church. She had a green thumb and loved gardening. Her family will remember her as a big hearted, feisty lady who was well loved by her many friends. She will be sorely missed by her loved ones including her husband of 30 years, Kevin Hopkins; three brothers, Ricky Eugene Webers, Michael Roy Webers and Allen Jeffrey Webers; numerous nieces and nephews; brothers-in-law and sister in law; extended family and many friends. She is also survived by her beloved cats, Elvis and Wyatt. 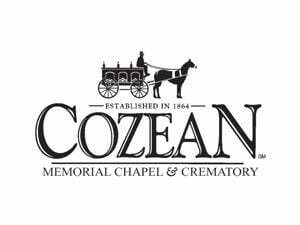 Visitation will be held at Cozean Memorial Chapel on Friday, April 19, 2019, from 5-8 p.m. Visitation will resume on Saturday morning beginning at 7 a.m. until the funeral service beginning at 1 p.m. Interment will follow at Doe Run Memorial Cemetery. View the online obituary, the tribute video and share your condolences at cozeanfuneralhome.com.